Every now and then I agree to something that makes me question my sanity. This weekend was a prime example of that.. having been contacted by Travel Supermarket I agreed immediately when they asked how I’d like to come along to No.1 Bootcamp in Norfolk. Then I thought about it. A whole weekend of high intensity training. With a bunch of bloggers I didn’t know. It sounded more than a little bit daunting, but since I’d managed to sort the time off work I figured there was no reason not to throw myself in at the deep end. And that’s why I’ve been a little on the quiet side this weekend..
What I was expecting from No1 Bootcamp was ridiculously early starts (correct), hard workouts (correct) and a whole heap of aches and pains afterwards (correct). What I hadn’t anticipated was the sheer mental strength needed for that kind of high intensity training. And how fulfilling it would be to have the opportunity to meet like-minded bloggers. Now I’m a little too tired to write a post that would even begin to do justice to No1 Bootcamp, so right now I just want to talk about them. The bloggers, I mean. In general there’s not a great deal of opportunities in the North East for bloggers to just meet up and get to know each other, and it’s something that I’ve noticed more and more over the last few months. Being all part of a community of fashion, lifestyle and beauty bloggers, I knew I’d have lots in common with most of the girls, yet I couldn’t shake that feeling you get when you first start a new job. That childish, ‘what if no one likes me’, anxiety. And I’m glad to say that it was one of the things I knew I shouldn’t have worried about: we were all pretty much in the same boat! But being grouped together with a load of bloggers I didn’t really know completely exceeded all of my expectations and made me feel proud to be part of something. We got to know each other, had plenty of laughs (usually at ourselves), and worked hard as a team. 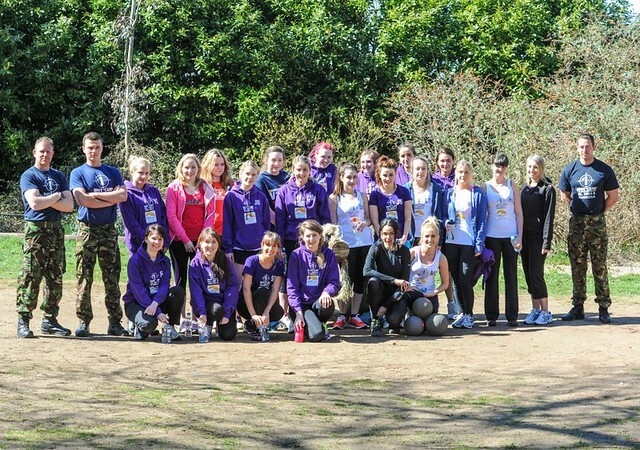 The other day Paula from No1 Bootcamp sat us all down to talk about our blogs and why we’d been selected to attend bootcamp, and it made me feel really humbled. She talked about influence and the ability to reach out to others through our writing and inspire them. The hope is that by putting ourselves through such an intensive weekend, we could inspire others to adopt healthier habits and change their lifestyles for the better. After the talk I felt inspired and proud to be able to say I was a part of this community of strong and intelligent young women. Over the last few months I’ve found it really hard to blog, often because I leave work feeling mentally and physically exhausted. The chat reminded me of an article I read the other week on IFB about how instead of feeling like blogging was a chore, bloggers should see it as a privilege. It wasn’t until after that talk with Paula that I realised how right that was. I’ve finished the weekend feeling bruised and battered but I also feel as though I’ve learned a lot, especially about blogging. It’s easy to feel like things are getting on top of you and push blogging to the back burner, but what I really discovered this weekend was that blogging is something that I do feel privileged to do. It’s opened doors I never imagined and allowed me to take advantage of some brilliant opportunities- like this weekend! 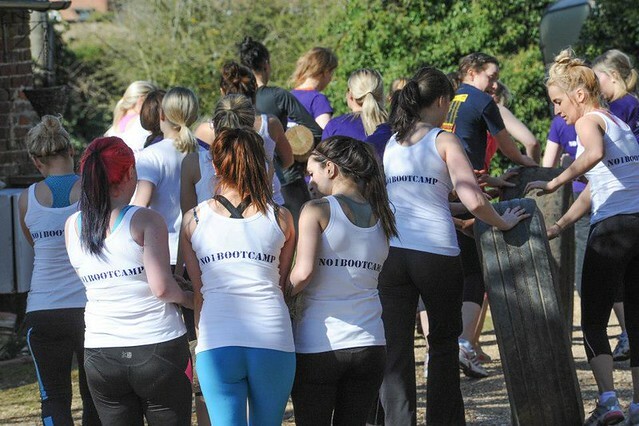 I’ll be posting more about No1 Bootcamp this week because I really want to tell you all about my experience. But for now I just wanted to say a quick thanks, first of course to the brilliant bootcamp trainers and staff for pushing us to work harder and achieve more, and to the nice folks at Travel Supermarket – especially the amazing Charlotte and Salome. And also I want to say thanks to the other bloggers for supporting me, encouraging me, pushing me through when I felt my weakest, and helping me to find strength I didn’t even realise I had. You’ve made me glad to be part of the blogging community. Sort of wish I was back there rather than thinking about heading to work. Hurray for blogging! Totally agree with it being a privilege ad opening up new opportunities!